If you are a leader or are developing yourself to be a leader, I highly recommend you jump over to Amazon.com and pre-order Tony Morgan's new book – Killing Cockroaches. Tony serves as the Chief Strategic Officer on the Strategic Management Team here at NewSpring Church, and he is freakishly smart when it comes to leadership and strategy. As a plus, he is a funny. I would also subscribe to his website. His blog is on my short list of every day must-reads. Oh, and this other no-name guy named Andy Stanley wrote the foreword for Tony's book. While you are at it, you might want to pick up Tony's other three books on strategy that he co-authored with Tim Stevens. 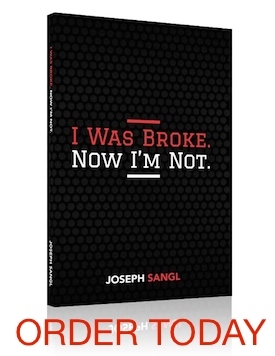 Find other great resources at the I Was Broke. Now I'm Not. Amazon.com Resource Center.